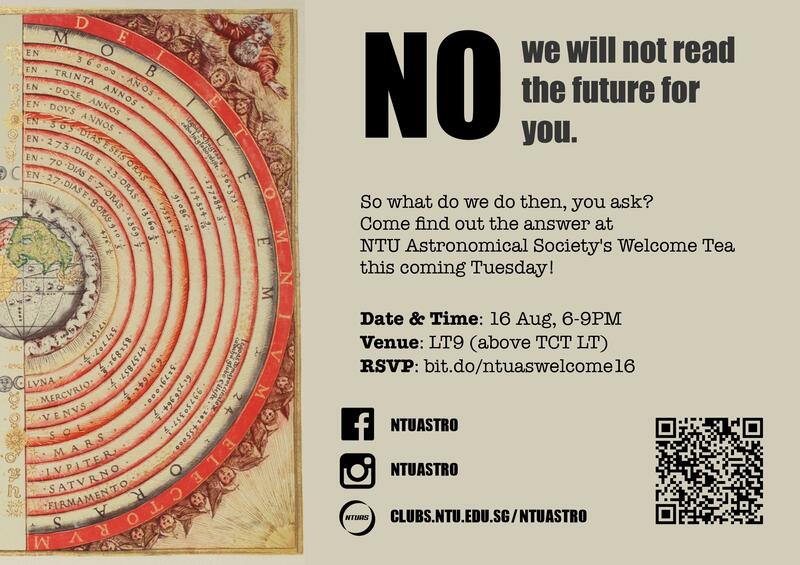 An evening get-together in which you can find out more about our regular activities from senior members, enquire on the available committee positions, or just simply get to know fellow astrophiles in NTU, sit back, relax and stargaze together. Refreshment will be provided. Also, membership registration and t-shirt sale will be available. Sounds good? Can make it? RSVP here and see you there! Copyright © 2019 NTU Astronomical Society. All rights reserved.